Brett Westwood uses his diaries to reflect on how the wildlife has changed in five different habitats of his local patch over the past 40 years. “It was a pigeon that flew into my bedroom when I was a few months old, and liberally decorated the cot, that set me off on a career with wildlife. That’s if you believe my parents anyway. Whatever the reason, in my early years, nothing hopping, crawling, flying or blooming really escaped my attention, and close encounters with wildlife have included a grass snake which regurgitated a frog in my pocket, and an adder which reacted, not unreasonably, to being penned in tank in my bedroom by biting me. At least I know I’m not allergic to anti-venom,” says Brett Westwood. 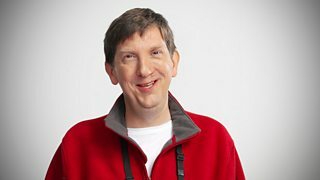 Many years on, with the promise of a life in the legal profession fast fading, Brett is now a freelance writer and broadcaster after more than 15 years working as a radio producer and presenter at the BBC Natural History Unit. Here he produced and presented many programmes for BBC Radio 4 including Living World and Nature. He also presented or co-presented the live series World on the Move and Saving Species and the “Guide to …” series about birds and their habitats. More recently he has written the scripts for Tweet of the Day and co-authored the accompanying book with Stephen Moss. Brett is also involved with various wildlife and conservation groups in Worcestershire where he lives and he still thinks that nothing beats a productive field-trip combined with a picnic. “Natural history never lets you age” he says, and those aspects of wildlife which absorbed him as a child still continue to do so, although he watches adders from a distance now.